As if self publishing your own book wasn't hard enough - at some point you have to think about ISBN numbers. These confusing collection of seemingly random digits are more important than you think, so I've broken down everything you need to know in a complete, comprehensive guide. ISBN stands for International Standard Book Number. They were 10 digits long, but since 2007 they are now always 13 digits long. While they may look random, they aren't at all and are made using a specific formula that makes them unique to each book. From here on, we will be referring to the numbers as 'identifiers', because each number identifies something about your book. Bookstores, libraries, publishers and any other buyers use these identifiers to find your book and quickly find out more information they might need. Each ISBN is split into 5 parts, sometimes separated visually by a hyphen. The prefix "978" or "979"
You might have seen ISBN numbers that don't quite follow this structure. In those cases, the ISBN numbers have been purchased in bulk, 10,000 or more at a time. Big companies like Amazon do this to redistribute to their clients who self publish through them. The identifiers are the same, but refer to Amazon's details rather than the details of each single book. Buyers can immediately tell by looking at the ISBN whether you have bought the ISBN in bulk as part of a large company, or if it was a single purchase and you are a self publisher. Should I buy an ISBN? 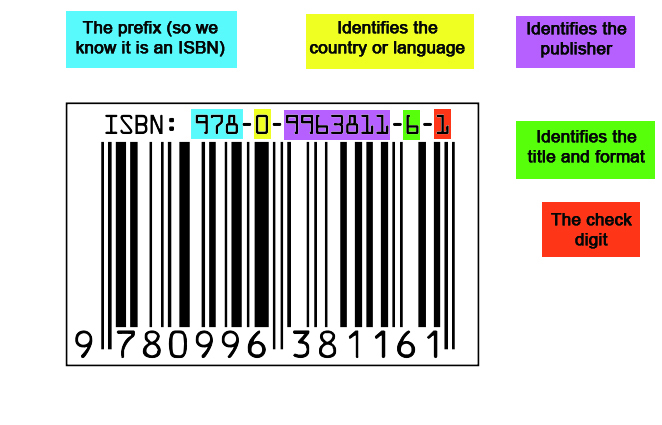 There are different options when it comes to ISBNs. Each method has it's own pros and cons. To see which one will work best for you, take a look at this breakdown below. Online publishers such as Createspace give you the option to use one of their assigned ISBN numbers. This is often free, or at least the cheapest choice. However you may be limited to where you can distribute your book. The imprint will appear as 'Createspace' rather than your own name. 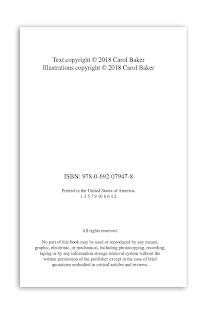 You cannot transfer this ISBN to another publisher if you leave Createspace. If you don't plan to distribute outside of Createspace then this may be a good budget option for you. Similar to buying your own ISBN above, this option also allows you to have your own name as publisher and distribute to more channels, but furthermore, with a universal ISBN you can move to another publisher and keep the same ISBN. You might ask; 'What does it matter if Createspace are listed as the publisher?' Well, you might not mind, but bigger bookshops will not stock books that are listed as published by Createspace. If you're seriously trying to become a best-selling author, using an assigned ISBN could hinder you. It's worth noting as well, that you need an ISBN for each format of the book you are publishing, even if it is the same title. Here are some common scenarios which would require a new ISBN. eBooks technically aren't required to have an ISBN number, yet you can still have one if you think you would benefit. They not only give the impression that you are more professional, but also make it easy for resellers and buyers to identify your book and it's details. Some big bookstores will not list your eBook on their site unless it has an ISBN. Where do I buy my ISBN? If you choose to use the assigned ISBN, Createspace will offer this when you create your title. But for the other options, you can buy them directly through the only companies who control them; Bowker in the US, and Nielson in the UK. There are a plenty of third party sites who sell ISBNs, but I would steer clear of them. Not only do they cost more money, but you do not know what identifiers they are really using. It's also good to know that not only can you save money buying the ISBN numbers directly, but you can get a good discount by buying in bulk too. Where does my ISBN go? Now you have your ISBN, you'll want to use it of course! The barcode should be on the back of the book, near the bottom. There's no point trying to be different and placing it somewhere else or in a weird shape, because all that will do is confuse buyers and sellers, and prevent them from quickly scanning your book for information. 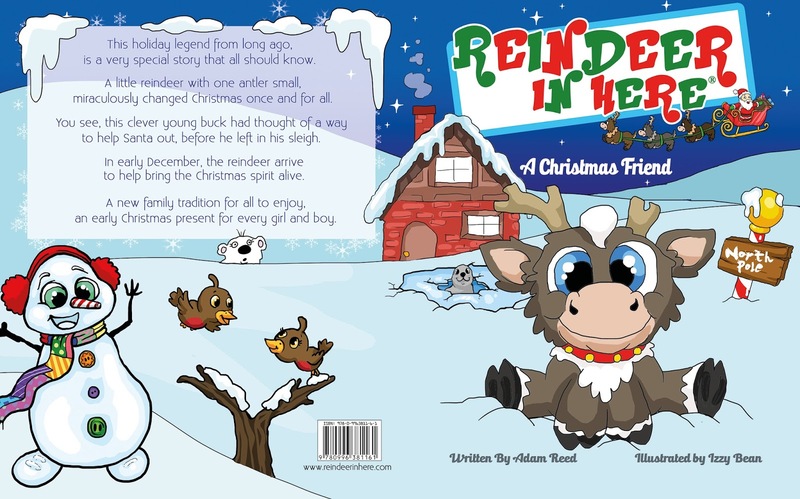 For example, here is a recent book I illustrated, with the barcode placed on the back. So that's it! You know know everything there is to know about ISBN numbers and hopefully, you're armed with enough information to start buying yours. 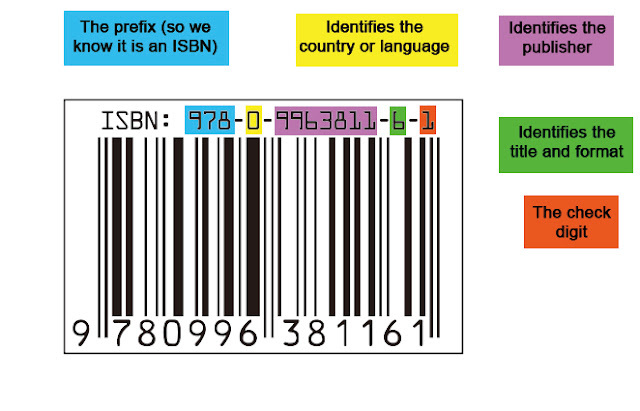 If you have any more tips about ISBNs, or would like to ask a questions about them, please feel free to leave a comment and I'll get back to you. It isn't as easy as A B C. Writing for children is a lot more challenging then a lot of people would expect. Children demand engaging, thought provoking and linguistically interesting books that capture their hearts and light up their imagination. As a writer is it difficult to know when your story is too simple or too complicated for your chosen age range, or even if your writing will appeal to your target age range. With Carol’s professional advice, I have compiled these 5 most important tips to writing for children. It’s tempting to put wholesome, life lessons into your book, especially if your story has a moral that is revealed at the end. But children know when they are being taught a lesson; and it’s too much like school. 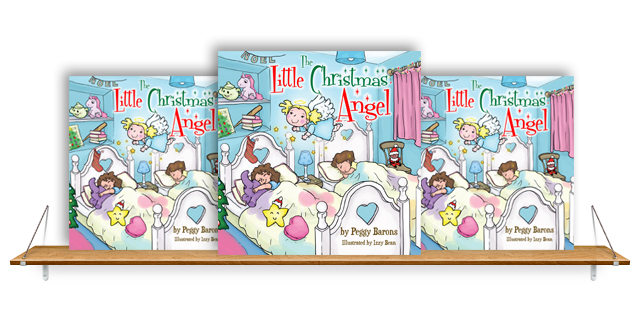 They spend much of their day being told what to do and taught how to behave, so young readers will shy away from books like this. Try and avoid writing your ‘moral’ at the end of the story in an obvious way, and instead use the character and the story to show how the person has learned and changed. For example a book about a boy who never shares his toys may end with the boy learning to share, but instead of writing this as the boy’s Mum telling him, ‘Sharing is kind and the right thing to do, so you should always share,’ how about the boy finds out for himself that sharing makes him more popular and he prefers the friendships he makes more than his toys, leaving them discarded at the end of the book as he runs off to play with his friends? Books that have good lessons hidden below the surface are much more likely to be fun to read, and children are smart enough to learn that this behaviour can benefit them too. When you find yourself preaching, ask yourself; how can I imply this without saying it outright? Carol’s career as a teacher prepared her for this. My passion has always been English grammar, and I particularly enjoyed teaching fairy tales and folk tales to children. 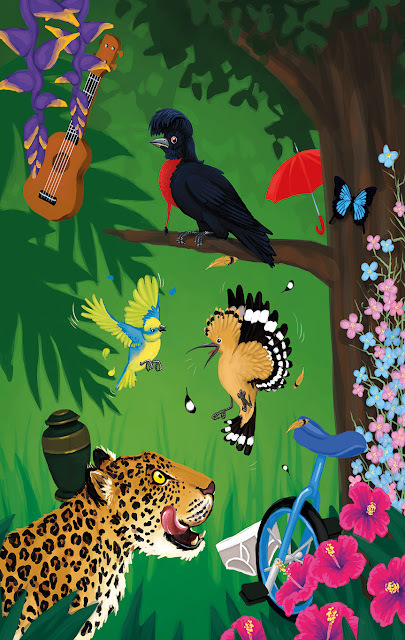 Valuable life lessons and English grammar structures can be learned from these simple stories which many of my ESL (English as a Second Language) students grasped unknowingly as they began reading. A good teacher can make learning enjoyable. 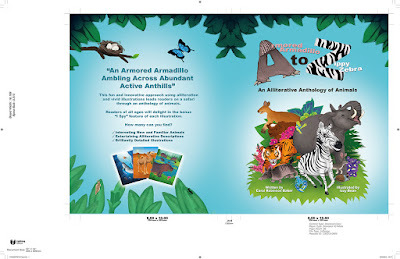 Although “Armored Armadillo to Zippy Zebra, An Alliterative Anthology of Animals” can be read for pure enjoyment, many parents and teachers will appreciate the ways they can apply the book as a teaching tool. A great practice session for this is to listen in on children having a conversation without adults. How do they ask questions? How do they put their sentences together? Children have a unique way of interacting with the world around them, and they will find it difficult to read a book that is written in an adult environment. A child will not only understand your story better, but they will also relate to your characters much more if they talk like them and think like them. Here’s a great example. If you are writing what you think a child should hear – stop right there. 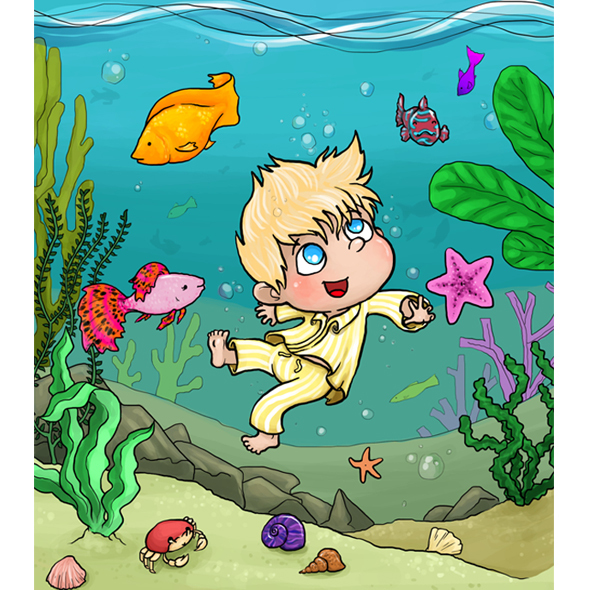 Go back and write as if you are immersed in the world of that child. Tables and chairs tower over your head, adults eat strange things and you can’t understand why pouring mud onto the living room carpet is so bad. 'But they ARE little kids!' I hear you exclaim. Think about it. What child likes being told they’re too little and inexperienced? Young children love to think they’re all grown up. 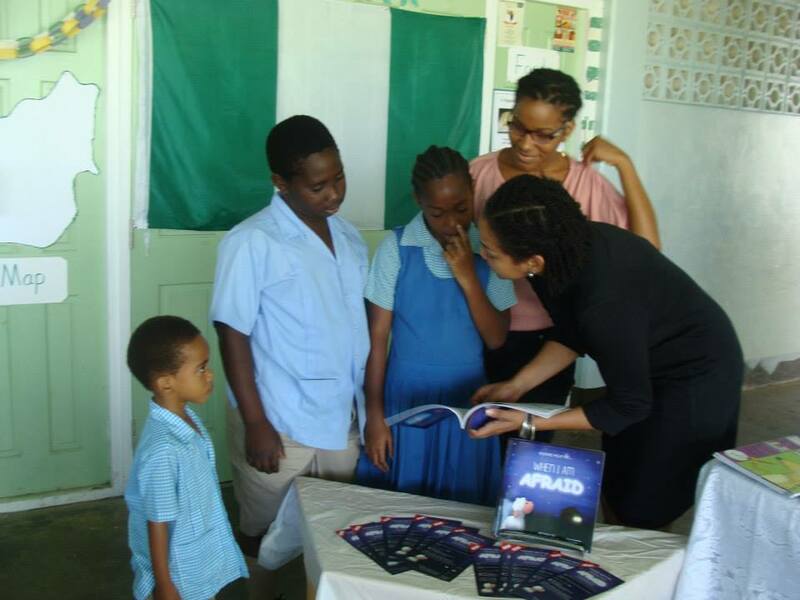 When they are reading (or being read to) they want to feel like they are powerful, respected and that the person telling the story understands them. Children are a lot more intelligent and perceptive then most adults give them credit for. It’s a fine balance between giving them the opportunity to piece a story together themselves, working out something that they might not understand at first, and still keeping it simple enough that they can still follow the plot without getting frustrated and abandoning it. 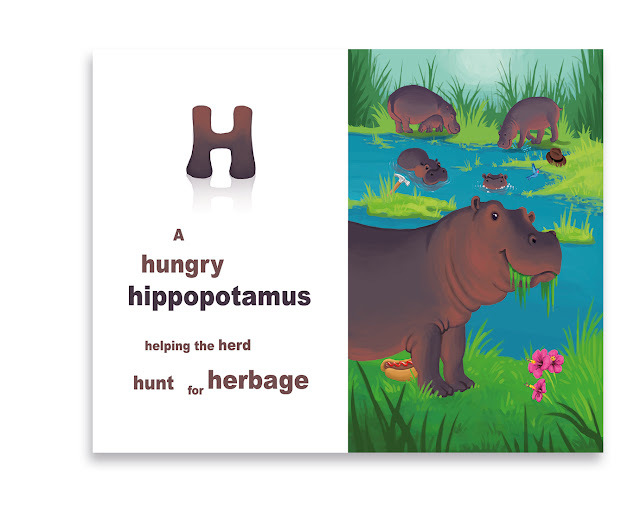 Carol Baker does this by providing some easy to pronounce, well-known words with new, more difficult ones that children can learn. I knew I was going to choose an animal for each letter of the alphabet as the basis of my book, but it took me two years to decide what vehicle to use for showcasing these animals. Should I make it funny or factual? Should I make it rhyming? What age readers should I target? When I decided to give each animal an alliterative adjective, I saw alliteration as my vehicle. While illustrating for Carol Baker, I slipped a pair of underpants into an illustration. Carol wasn’t keen on the idea and removed them to the dismay of her Granddaughter. After seeing her young test audience giggle so much when they saw the clothing, Carol decided to put the underpants back in. It’s not just underpants. Snot, poop, bogies – if it’s gross and inappropriate, young kids will love it! Adults on the other hand, will have no idea what is so funny about it. Don’t be scared to throw in a few rude situations in both your writing and the accompanying illustrations. If you’re unsure, test them out on a willing young subject and see if they laugh. You’ll be surprised! Children’s books typically have fewer words to play with; so don’t waste them. Make every word count by eliminating any words that aren’t essential to the story and use outstanding, interesting words that add to the atmosphere you are trying to create. Carol Baker does this perfectly in her book. Without going over ten words per page, every single word she uses gives something to the reader so that the sound they make when spoken are pleasant to hear and conjure up the exact image that is needed to understand the meaning. 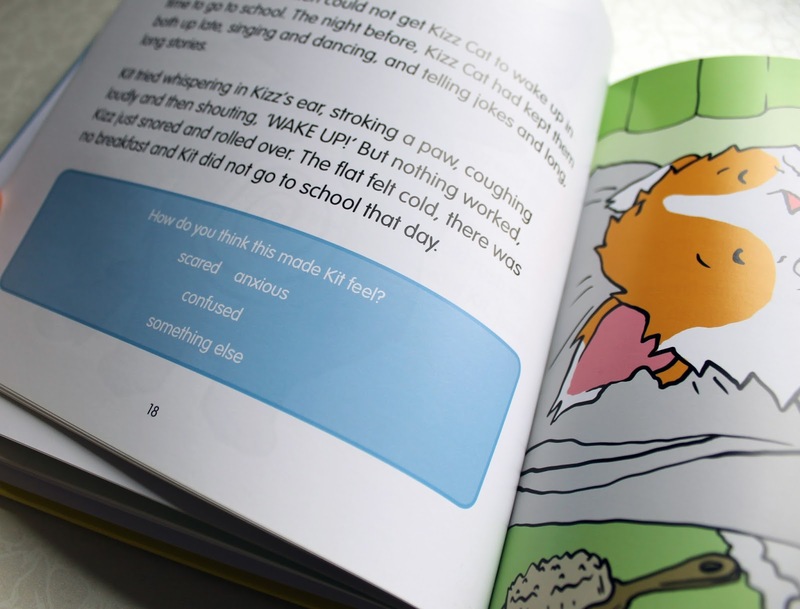 Tell the reader the important bits, and use the illustrations to show them the rest. Carol's inspiration for her book came in a dream one night and a few years later she's selling copies of her book on Amazon and Barnes & Noble as well as at local bookstores and events. 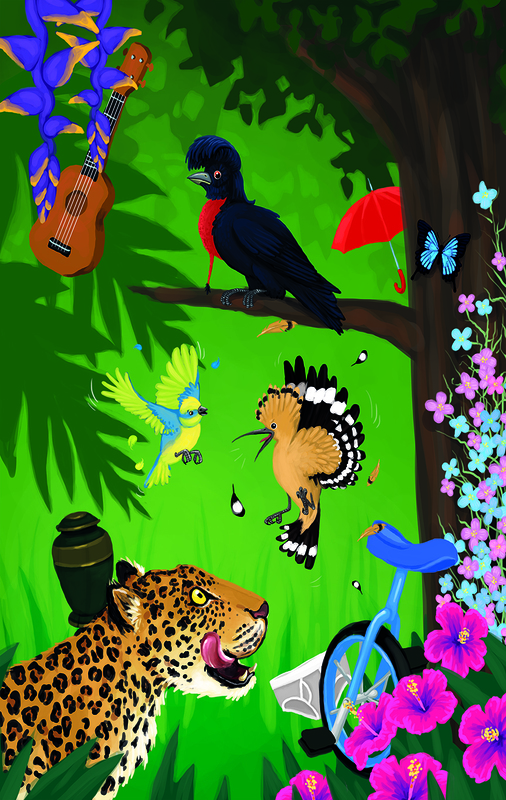 My book showcases entertaining and educational alliterative descriptions of real animals with beautifully detailed and colorful illustrations which include an “I Spy” feature that can be enjoyed by both children and adults. I’m very pleased with this project! 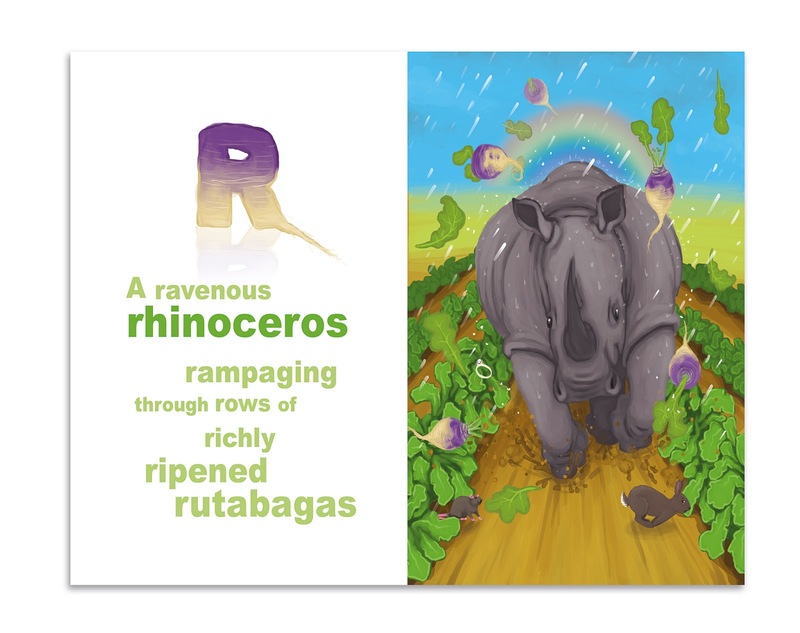 I have a brilliant illustrator, and I am proud of my alliterative descriptions. In this blog post, I will go through a step by step process to preparing your files and uploading them to Ingram Spark's website ready to publish and distribute. Before you can upload your files, you need to make sure that they are formatted correctly. 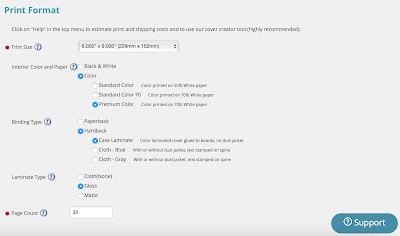 Ingram Spark have strict specifications that you need to abide by, so if you are not familiar with formatting and design, it might be best to hire a professional to ensure you end up with files that will be accepted. 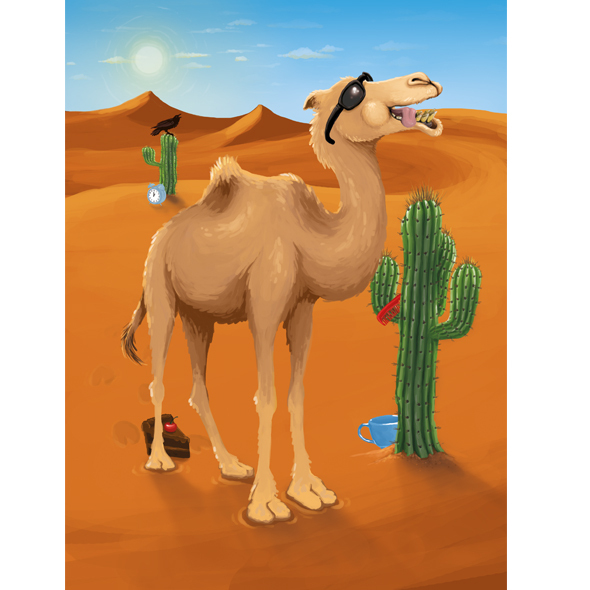 If you have hired an illustrator, it's worth asking to see if they offer this as part of the illustration package. Ingram Spark expects you to upload your book as two files; the exterior as one file, and your full interior as the other. The process is similar, but not identical, depending on what kind of book you are publishing but I am going to assume you are uploading a full colour book with pictures or illustrations and if your book is different you will still be able to follow the process. Let's start with the exterior file. Below is an example of one page from an interior PDF that I created for a recent project. note that you can't tell where the bleed or trim end, as the illustration flows all the way to the end of the paper. 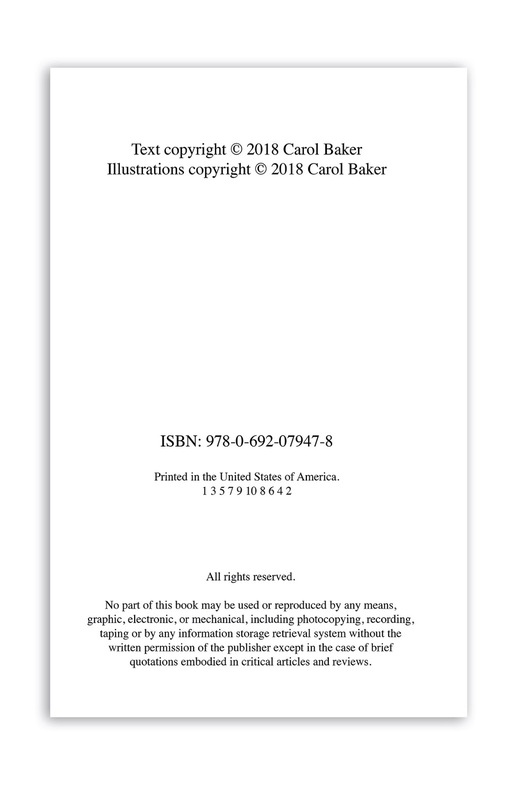 The outer edge around the illustration contains little valuable information because that will risk being cut off when the book is manufactured. Once you have the two files correctly formatted and ready to upload, login in your Ingram Spark account and navigate to your Dashboard by clicking on the tab at the top of the page. From here, click on the title of your book and you should see your metadata and information you have already filled in. Keep clicking on continue (checking the information is correct) until you get to the end, where you will see two sections to upload files; one for your interior and one for your exterior. Uploading can take some time if you have a large book or high resolution files and I sometimes find the upload times out if you don't have a good enough internet connection. Once the file has finished uploading, you'll see a spinning wheel as the software automatically checks that the file meets their initial requirements. This is not human controlled, so if you receive any errors at all, read them carefully and double check you have calculated the exact size and trim. Once your files have been accepted, you will be able to submit the book for review by an Ingram Spark employee and your work here is done. As long as you've followed the steps properly and met the requirements, you will have your files accepted and be able to distribute your book. Good luck! If you found this guide helpful, please share it and let others know!